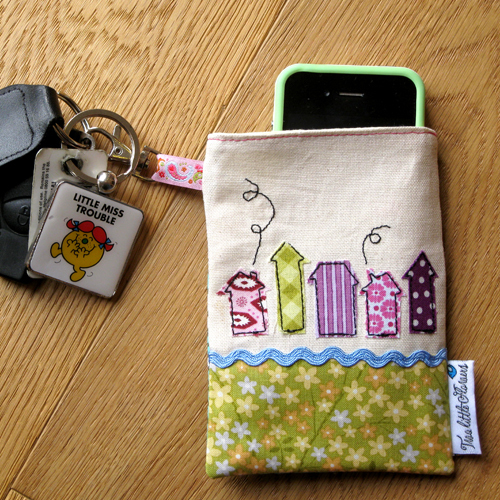 This is a pretty little yellow lined pouch - big enough for your fancy smart phone, pack of tissues and mini-purse. It has a pretty paisley ribbon on the side with a hooky clasp. You could attach your keys to the clasp, or clip it to your pram or shopping trolley, or if you are a real geek (no judging here) - clip it to your belt loop! Fancy a chance to win this little pouch? Then you had better leave a comment on this post! Tell me what you would stash in your pouch and what you would use the hooky clasp for. I will pick a random someone at some point on Friday, 9 March. * Just leave a comment! * Leave your e-mail address in your comment. * Open to ALL readers - friends & family included. * Freebie ends, Thursday 8 March 2012 at midnight in London, UK. * Winner will be selected via the random.org nifty gadget and will be announced on Friday. What a cute item. I love your little labels that you have, perfectly matching your logo.... would you mind me asking where you got them from? i'm brightonbirdy@hotmail.com. Thank you and happy crafting.